I am very excited to start my new interactive blog on helpful design tips, and I will also be answering some frequently asked questions by homeowners. Please submit your design questions to me here, and I will try to answer a couple in each blog. I love a good challenge, so remember to send me your most difficult design dilemmas, also! Continue to check in to see what’s new and exciting in the decorating world. “Like” my blog and forward it to your friends! I look forward to hearing from you. 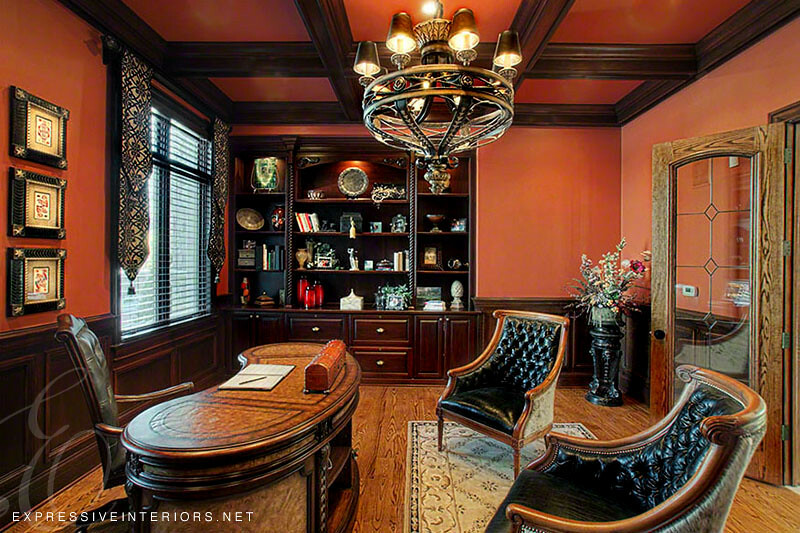 Why Should You Work With a Professional Interior Designer? An interior designer will guide you in selecting furnishings that will fit your family and lifestyle. 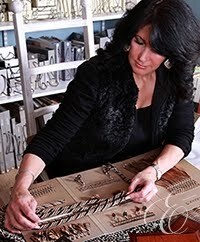 A professional has valuable experience and knowledge of the quality of various manufacturers, they are educated in current color trends, and have the resources to help you make quick and concise decisions. The convenience of the internet has given people the ability to shop online and find items on their own. However, oftentimes they don't know how to put it all together or select the proper pieces for their rooms. They often make a purchase without knowing if it's the right scale for the room or how to coordinate various patterns and colors. This frequently becomes a costly mistake. Remember - you may save a few dollars getting that piece of furniture at a discount site, but unless you know how to put it all together, your savings can turn into a disaster! Why risk your valuable resources - call a professional today and discuss your needs with them! I often get calls from people who want to change their space, but do not necessarily have the budget for a complete and total makeover. My answer to that is: PAINT! It is an inexpensive - yet powerful - way to change the mood of an entire room. Don't be afraid to be bold! 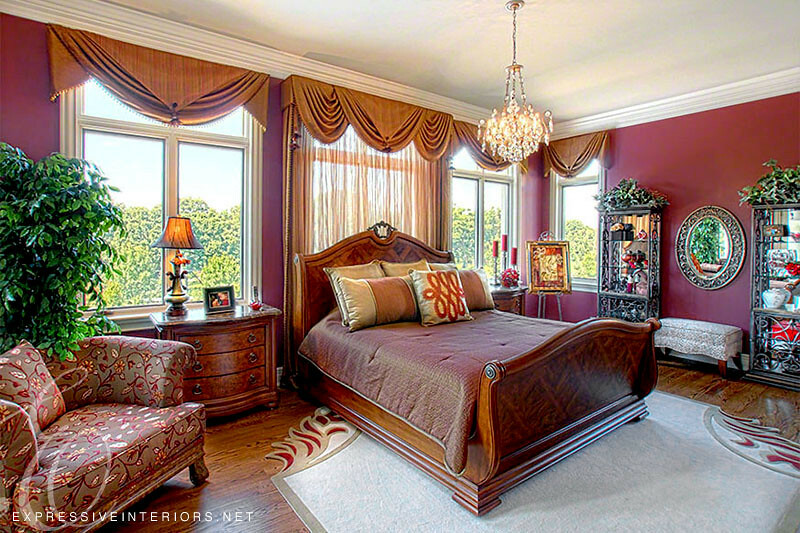 Intense colors such as Cranberry, Chocolate, and Mustard are all gorgeous colors on a wall, and add so much interest to an otherwise ordinary room. It is a dramatic way to give a room a warm yet bold statement that will make that old beige sofa pop. Decorating your home is a lot like accessorizing an outfit. A neutral color dress is nice, but doesn't nearly make the impact as adding bold color shoes, purse, belt, or accessories to that dress. That is what really completes the outfit. You should dress your home the same way. Adding intense color to your walls and/or accessories is a lot less expensive than changing all your furniture, and it can make a huge impact on the mood of a room. Don’t be afraid of color – have fun with it! Changing your wall color is a lot less expensive than changing all your furniture, and it can make a big impact on the mood of a room. 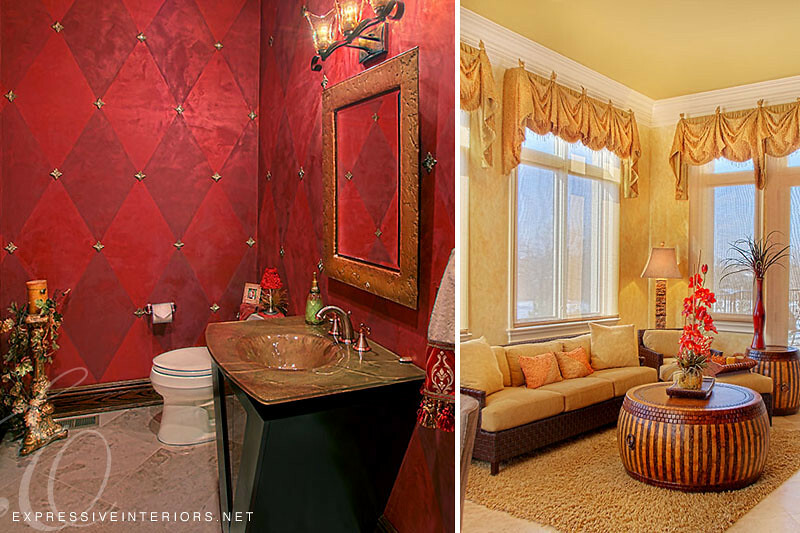 Take a look at the impact intense color can make on a wall in these rooms that I have designed. 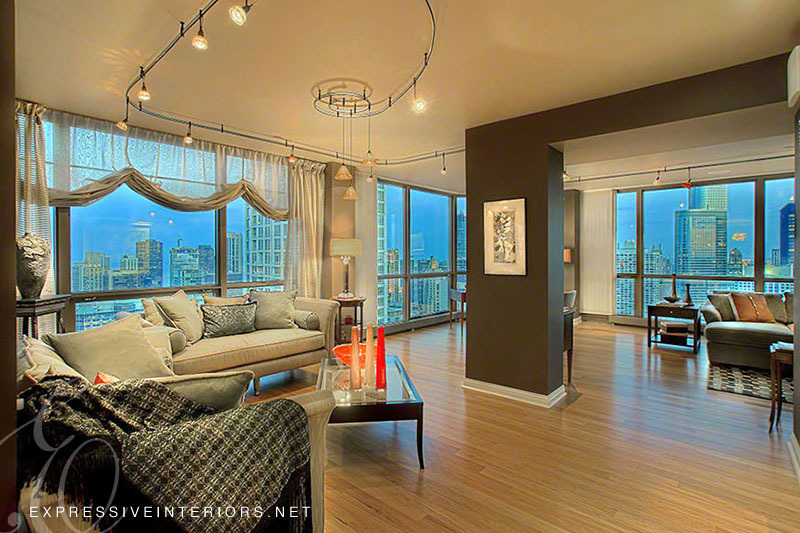 DESIGNER TIP: Painting your ceilings the same color as the walls will make your room appear taller.